Protects your life purpose for this incarnation. Aids in grounding your life purpose into earth plane reality and manifesting it on the earth plane. Aids in keeping your agreed upon, prelife karmic contracts and reinforces remembering the reasons for your current incarnation. Helps to honor your promises, life agreements and path. Tourmaline in Quartz has a trigonal/tetragonal crystal system. It is in the mineral class of oxides, the Quartz family. 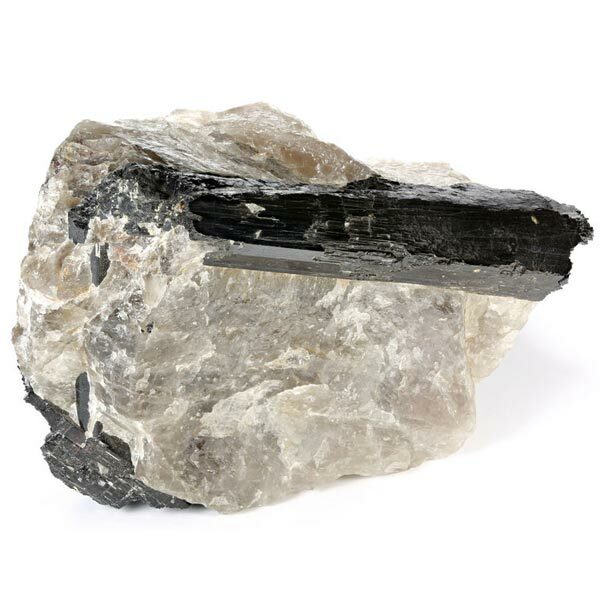 Basically, it consists of Black Tourmaline crystals that have been enclosed by the Quartz. Tourmaline is formed magmatically, consists of varying mineral forming substances but always displays the same crystal structure within its seven color varieties. This black variety is very often found to be brittle. The healing effects of Tourmaline in Quartz is intensified by the Quartz. Tourmaline in Quartz can be worn on the body and when needed, placed on the parts where it's most beneficial. Essences made from this stone seem to be very effective, very quickly. Tourmaline in Quartz provides neutrality, a relaxed attitude and combines body, mind and spirit into a harmonious whole. Tourmaline in Quartz discharges tensions and protects us from negative thoughts. It also helps with stress. 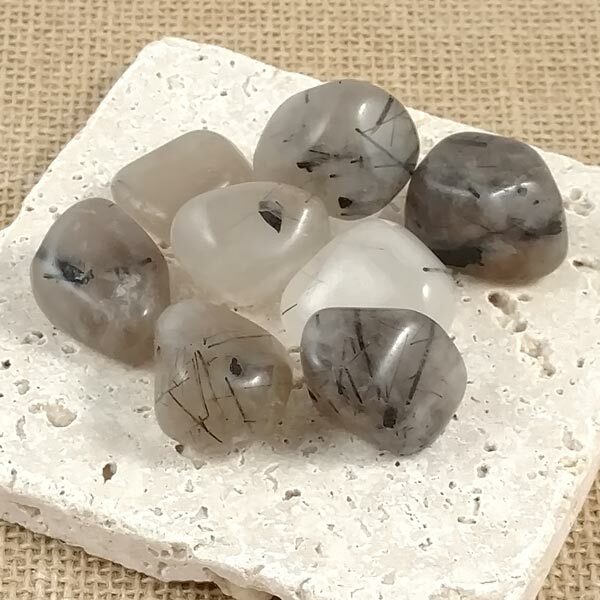 Tourmaline in Quartz has a boosted pain relieving effect and can conduct body energy. It can stimulate healing and can assist in the neutralizing the influence of radiation. Tourmaline in Quartz will benefit all signs. It has a Receptive Energy and it's associated Planet is Pluto. Tourmaline has been known since antiquity, but may have been equated with other stones depending on its coloring. In the 18th century it came to be known as the stone of wisdom. Some Arabic traditions say it is a stone of the sun that strengthens the heart and protects from nightmares. In other areas of the site I have written of how Quartz can intensify the effect of other gems and minerals. This particular combination seems to produce a balance between contrasting elements. It illustrates how what would seem opposite elements can work together. We all seem to have elements in ourselves that conflict. With the help of Tourmaline in Quartz, those conflicts can be made to work together harmoniously.